Update #3: Today in Racked, H&M confirms that they are keeping all stores on 34th Street open. I wonder how many other cities have three of the same store in a one-block radius? None, right?! Update to the update: the store is opening May 20 at noon with a performance by John Legend! This is big. This means Chrissy Teigen might be hanging out at H&M Herald Square. 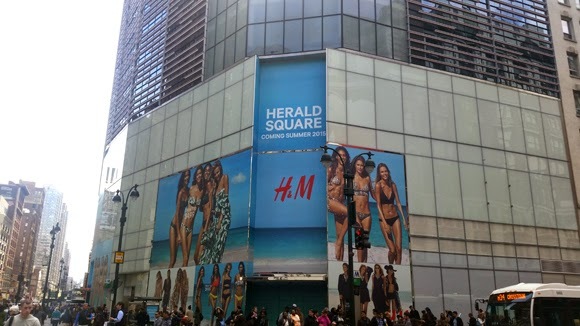 Update: the new H&M Herald Square flagship, the largest H&M to date at 63,000-square-feet on four floors, will open soon. As in, "Coming Summer 2015." Photo by 34th Street Partnership, May 2015. 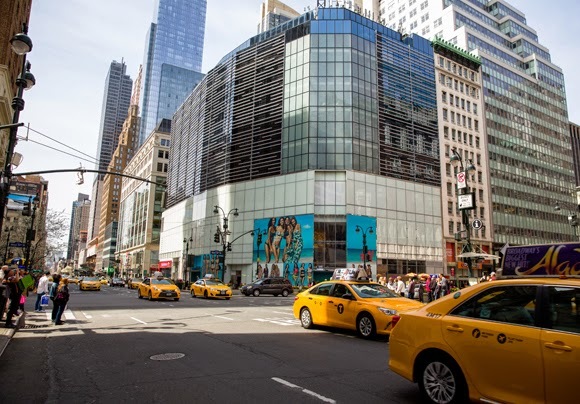 WWD reported last month that the new flagship store in Herald Center would open "next month," but as the new sign above says "Summer 2015" let's just pencil in "maybe late May." No word yet on what is coming in to the H&M across the street at 1378 Broadway, but stay tuned. I'm going to miss that store, namely for nostalgia's sake as its maternity section got me through many big belly months with their leggings, drop-crotch pants, and dresses. Photo by Angelito Jusay Photography, April 2015. 34th Street really ♥'s H&M.